Dynamic Tire Corp., is recalling 130 Sailun tires, S698 157/154 L PR20, size 315/80R22.5, produced June 18, 2018 – June 25, 2018. The Tire Identification Number (TIN) on the tire sidewall is incomplete and does not include the date of manufacture. Harbor Freight Tools is recalling 173,557 Innova Ultra Runner utility trailer tires, sizes 5.3x12 and 4.80/4.00x12, and Far East utility trailer tires, size 4.80/4.00x8, purchased mounted on replacement trailer rims. These tires may not be strong enough to support the expected loads. 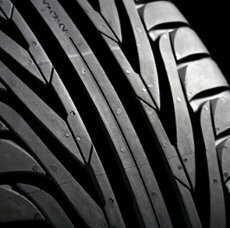 The tires, therefore, fail to comply with the requirements of Federal Motor Vehicle Safety Standard (FMVSS) number 119, "New Pneumatic Tires-Other than Passenger Cars." Goodyear Tire & Rubber Company is recalling 16,757 Dunlop SP50 tires, size P205/70R15 95T, manufactured December 2, 2012, to February 1, 2014. The tire tread of the recalled tires may chunk off if driven on with low tire pressure. 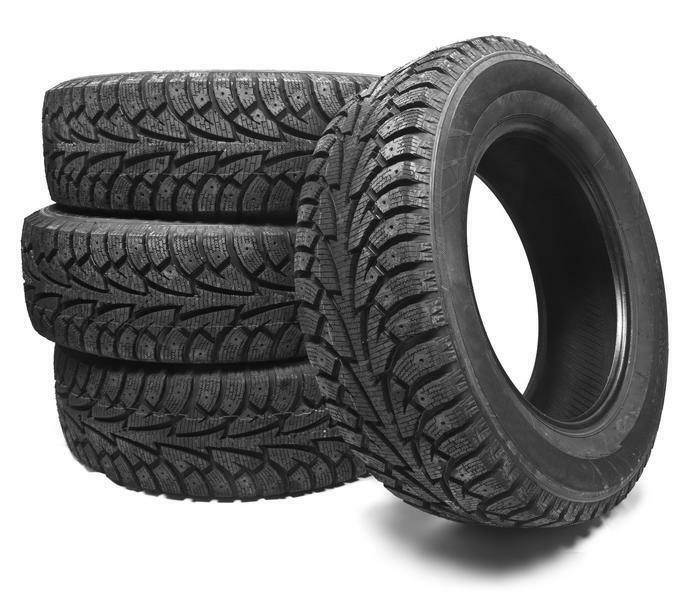 As such, these products fail to comply with the requirements of Federal Motor Vehicle Safety Standard (FMVSS) number 139, "New Pneumatic Radial Tires for Light Vehicles." Quick, how many pounds of air are supposed to be in the tires on your car? If that information isn't at the top of your mind, you aren't alone. A survey by the Rubber Manufacturers Association (RMA), the national trade association for tire manufacturers, shows only about one in six vehicles have four properly inflated tires and only 15 percent of drivers know how to properly check tire pressure. The National Highway Traffic Safety Administration (NHTSA) estimates that under-inflated tires contribute to more than 600 fatalities and 33,000 injuries each year. The U.S. Department of Energy estimates that under-inflated tires wastes more than 1 billion gallons of gasoline annually. "America needs inflation," said RMA President and CEO Charles Cannon. "In just five minutes every month, motorists can ensure that their tires are properly inflated which promotes safety, better fuel economy and helps prevent premature wear." Check tire pressure monthly and before long trips. Use the vehicle manufacturer's recommended inflation pressure. This information is found on a label on the driver's side door post or motorists can check their owner's manual. Check tires when cold, before driving. Otherwise, tires become warm when driven which increases tire pressure and the reading is not accurate. A phone survey of 1,000 U.S. drivers, sponsored by RMA, found that 62 percent of drivers don't know where to find the correct inflation pressure for their vehicle's tires and 43 percent don't know that tires should be checked “cold,” before driving. The survey found that, while 60 percent of motorists wash their vehicles once a month, only 15 percent check tire pressure that often. Dill Air Control Products is recalling snap-in rubber tire valve stems sold between November 2006 and July 2007. If you purchased tires between November 2006 and July 2007, and if the valve stems in your wheel contain the unique Dill cap (shown below), you should have the valve stems inspected for cracks in the rubber. These valves may lack the required additive to protect the rubber against deterioration from ozone exposure. As a result, affected valve stems, when subject to high levels of ozone, may weather and crack earlier than normal for this product. Over time, such a crack could progress to the point that it leaks air resulting in a loss of tire pressure. Loss of tire pressure can result in a flat tire and/or loss of vehicle control, which could cause a crash without warning. The recall is for models APC TR413, TR414, and TR418. 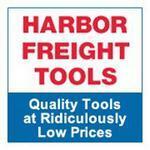 Tire dealers will inspect your Dill ACP valve stems and replace them if cracked at no charge to the consumer. The tire dealer will then file a claim with Dill. For more information, see www.tirevalverecall.net or call 1-888-364-2982. December 10, 2008 Dill Air Control Products is recalling snap-in rubber tire valve stems sold between November 2006 and July 2007. WASHINGTON, Aug. 9, 2000 -- Facing a growing swarm of lawsuits, Bridgestone/Firestone today announced that it will replace free of charge about 6.5 million tires sold as standard equipment on Ford Explorers and other sport utility vehicles. Meanwhile, the National Highway Transportation Safety Administration is continuing its investigation and may order additional actions. There have been at least 46 reported deaths and hundreds of injuries in accidents involving the 15-inch tires. The recall covers the P235/75R15 ATX, ATX II and Wilderness AT tires. Bridgestone/Firestone has been moving quickly to try to settle more than 100 lawsuits filed by motorists and their passengers who were killed or injured in crashes involving the tire. Ford has also been named in many of the lawsuits and has also been trying to settle as many cases as possible. Both companies have insisted on gag orders as part of their settlements, so the dollar value of the out-of-court agreements isn't known. It's the largest tire recall in history and is likely to produce more lawsuits, as the extensive publicity alerts consumers who weren't previously aware of the problems with the tire. The tires are missing the required maximum load and corresponding inflation pressure information on the sidewall. As such, they fail to comply with the requirements of Federal Motor Vehicle Safety Standard (FMVSS) number 119, "New Pneumatic Tires-Other Than Passenger Cars." Triangle Tire USA is recalling 288 Triangle TR643 tires, size ST225/75R15. Due to a manufacturing process error, the tires may have a hole where the sidewall and the tread meet, resulting in an air leak. As such, these vehicles fail to comply with the requirements of Federal Motor Vehicle Safety Standard (FMVSS) number 109, "New Pneumatic and Certain Specialty Tires." If the tire does not stay inflated, it can increase the risk of a crash. BFGoodrich Tires is recalling approximately 129,000 tires that were sold in the U.S., Canada and Mexico. Approximately 104,000 of the recalled tires were sold in the U.S. market. The tires are primarily found on commercial light trucks, as well as full-sized heavy-duty vans, small RVs and some 3/4 and one ton pick-up trucks. Bridgestone/Firestone is recalling about 127,000 Firestone FR 380 tires, size P235/75R15, manufactured from Sept. 9, 2007 through July 2, 2008. Continued use of the tires may lead to vibration and groove cracking, which could in turn lead to tread distortion or tread separation and loss of vehicle control. Bridgestone will notify owners and replace the tires free of charge. The company will also mount and balance the replacement tires at no charge when the recall begins in June. Owners may contact the company at 1-800-465-1904 or visit their Website at www.firestonetire.com. June 30, 2009 Bridgestone/Firestone is recalling about 127,000 Firestone FR 380 tires, size P235/75R15, manufactured from Sept. 9, 2007 through July 2, 2008. Dynamic Tire Corp. is recalling 17,369 Towmax STR tires, size ST225/75 R15 manufactured June 15, 2014, to October 14, 2014. The affected tires may have the incorrect load capacity and inflation pressure stampings. The misinformation on the label could lead a driver to overinflate the tires, increasing the risk of a tire failure and raising the risk of a crash. Dynamic will notify owners, and dealers will replace all eligible tires, free of charge. The recall is expected to begin December 10, 2014. Owners may contact Dynamic customer service at 1-905-595-3593. 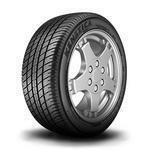 Continental Tire the Americas (CTA) is recalling a total of more than 8500 ContiProContact tires in 2 separate actions. The first involves 4,884 ContiProContact tires, size 225/45R17 91H, manufactured February 22, 2015, to May 16, 2015. Due to a manufacturing error, these aftermarket replacement tires may leak air from the bead area. A loss of air pressure may result in sudden tire failure and increase the risk of a crash. American Kenda Rubber Industrial is recalling 696 Kenda Kenetica tires, size P235/75R15 105S KR17. The tires may have a void between the top steel belt and the tire undertread located at the overlapped steel belt splice. The tire tread may separate. Bridgestone/Firestone North America Tire is recalling 32 Firestone FR710 tires, size 205/65R16, and Champion Fuel Fighter tires, sizes 205/65R15 and 205/70R15, manufactured March 27, 2016, to April 9, 2016. These passenger car replacement tires may have been manufactured with inconsistent rubber coverage over the steel plies. As a result, the tread may separate increasing the risk of a crash.